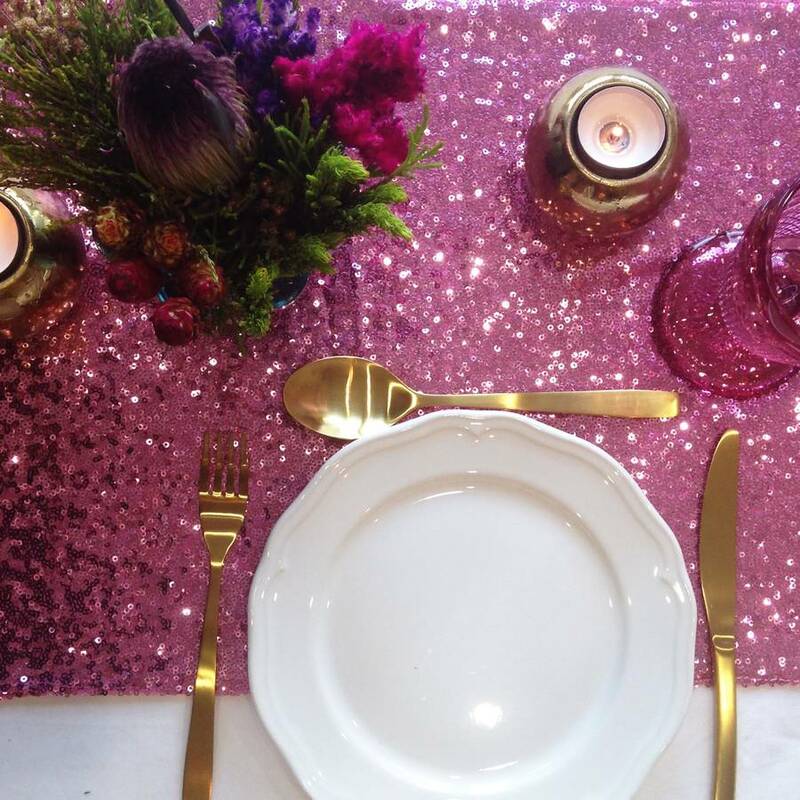 Create the perfect table setting for your celebration or home by creating a tablescape with our rose pink sequin table runner. Add a touch of shimmer to your home by adding some sparkle to your Valentine's table. They look amazing on your dining table, sweet table or buffet. 12 x 80 inches (30 x 203 cm) - the perfect size for home entertaining and just adding that touch of sparkle to your celebration or party. 14 x 108 inches (35 x 274cm) - ideal for celebration tables and suitable for 5ft and 6ft banqueting tables (both round and rectangle). Extra wide to add more sparkle.